Facts about Back Pain-Just about everyone experience backache in their life at some time or the other; although frequency may be person specific. As a matter of fact, only small numbers of the sufferers have been observed to complain about it and prefer to visit a doctor. The occurrence of back pain can be very complex where many back problems are difficult to diagnose and normally involve different treatment options with diverse risks and benefits. 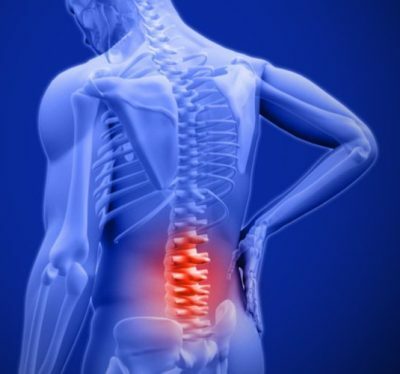 Apparently there are “n” numbers of reasons for back pain, amongst which muscle spasm are reported to be more common; occurring due to functional abnormality of the spine and structure supporting it, such as the vertebrae, intervertebral discs, the ligaments or muscles of the back. The current article summarizes some of the common myths about the back pain and relevant factual clarifications on the same. A lot of people nowadays experience various degrees of backache problems in their day to day life. Back pain is very common and has many different causes; approximately 23% of adults live with lower back pain that may last for atleast 3 months. In most cases, the pain is mechanical, but approximately 3% of the adults, suffer from inflammatory back pain, which is the major indication of many of the autoimmune conditions. Some of the degenerative vertebral conditions may as well give rise to back issue. And hence it is very crucial to look for an expert consultation immediately rather than ignoring it to be a common issue, because it may lead to serious trouble later. While moderate and rare back pain is still can be a reason of day to day stress but the consistently bad back pain is quite understood as a serious problem. In several cases, a great deal of back pain does not typically indicate a back problem that could result in paralysis. There are examples of some of the rare cases, where paralysis may be a risk, such as spinal infections, spine tumors, and unstable spine fractures, etc. Thus, consistent back pain does not necessarily result in paralysis, but in many of the conditions leading to paralysis, back can be one of the reasons. Though physically active people are less likely to get any kind of disease particularly back pain than sedentary people; as a matter of fact, back pain can affect all, notwithstanding the level of activity. In fact, some of the sports are more prone to cause back pain, such as golf, volleyball, and gymnastics. In such cases, the back should be moreover considered a priority in conditioning, because it creates a steady platform from which the arms and legs work. Back pain, in some way, may be genetically influenced but definitely not always. If you suffer from constant low back pain, your genes may hold some of the blame. However, for the vast majority of conditions related to back and neck pain, there is no evidence of genetic predisposition, which means that parents do not usually pass their back conditions onto their children. Since back problem is an indication of different medical conditions, different approaches can be offered to treat different types of back problem. Thus, it is misunderstood that all spine problems are treated with available standard cure, while there is no such cure for some of the spinal problems. This is important to find out the reason behind your back pain and their available treatments as early as possible. But if you still do not experience any aid, it is required to consult a good physician, rather an orthopedic surgeon and work with them to alter your situation. Conventionally treatment options include a variety of approaches like, medications, exercise and physical therapy, and counseling. A surgery is also prescribed for many serious cases related to the spinal cord. However, conventional treatment options of Spinal Cord Injury are rather identified to be with limited effects, technology has enabled different non invasive therapies, such as stem cell therapy that has gained tremendous acknowledgement as an effective alternative to conventional organ replacement and surgery.